Author Julia Stoops and artist Gabriel Liston pop-up with the new novel Parts Per Million. Glimpse Liston live-drawing in the galleries while Stoops shares an excerpt from the book. Stoops and Liston are paired with Mike the Bite by George Luks; found in the American Art on the 2nd floor of the Portland Art Museum. Please reference the Portland Art Museum Map to find this location. When John Nelson abandoned his government job to join a scrappy band of activists, he didn’t realize trying to save the world would be so hard. His ideals remain strong, but his optimism is wearing thin. His fellow activists—computer hacker Jen Owens and Vietnam vet Irving Fetzer—still think he’s a square. And their radio show can’t compete with the corporate media. 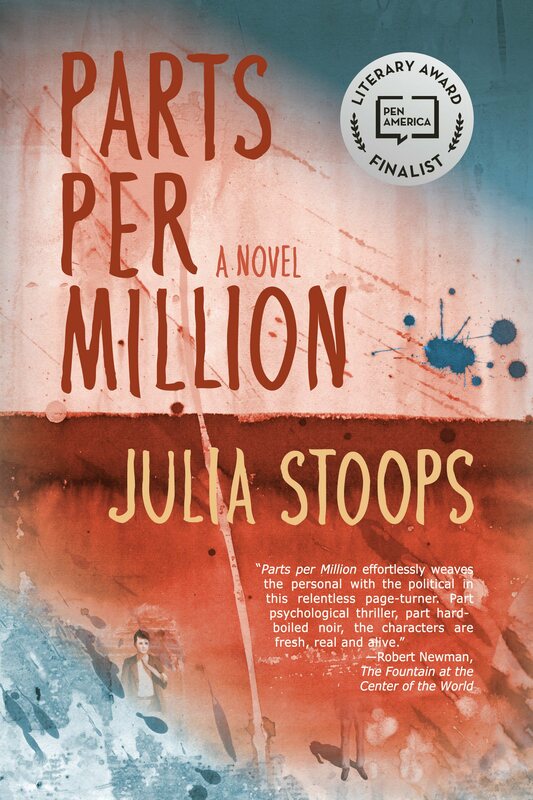 Parts per Million, Julia Stoops’s socially conscious, fast-paced debut novel, is set in Portland, Oregon, in 2002. As the trio dives into anti-war protests and investigates fraud at an elite university, Nelson falls in love with an unlikely houseguest, Deirdre, a photographer from Ireland—and a recovering addict. Fetzer recognizes her condition but keeps it secret, setting off a page-turning chain of events that threatens to destroy the activists’ friendship even as they’re trying to hold the world together, one radio show at a time.